Dark Skyline is a Dark Techno DJ and producer from Szczecin, Poland. He discovered the darker side of Techno in 2010 throughout producers such as Hefty, Memnok, Darmec and Strobetech and quickly became hooked on the new style he has found. 2 years later he started to produce his own tracks and worked on developing his own style. In 2015 he created his own label "Dark Underground Records" using it as a platform to release his productions. 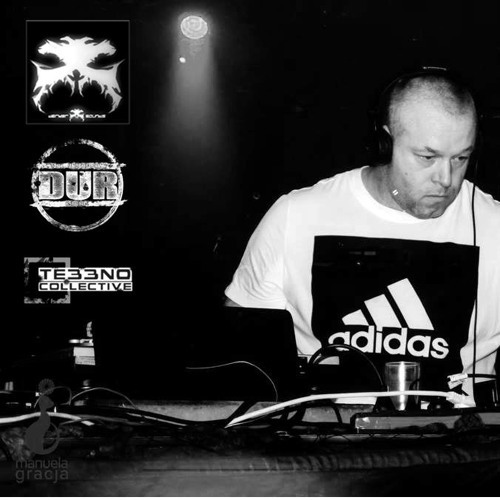 Since then he had many releases on international labels such as Darker Sounds, Fresh Cut, Ragnarok Berlin, Klangrecords, Oxytech Records, Sobwoofer Records, Dirty Stuff Records and more, and has gigs under his belt in Poland, France and Germany. Member of Te33no Collective and Darker Sound. Dark Skyline's music can be described as dark, heavy, distorted, apocalyptic Techno. links: https://www.facebook.com/darkskylinesound https://www.facebook.com/DarkUndergroundRecords https://soundcloud.com/d-rk-skyline https://www.facebook.com/te33nocollective https://www.facebook.com/darker.sounds/ http://te33no.net/artists/darkskyline http://te33no.net http://www.ilovetechno.fm Booking: te33no@gmail.com darkskylinesound@gmail.com Best Regards.